I often say that cooking is a daily pleasure. Purchasing ingredients, preparing them, bringing them together using different techniques, and serving the final dish is a process that never ceases to inspire me. I have always had a passion for food. Nonetheless, I did not take a hands-on (literally) approach to it until university. After starting at Cambridge, I suddenly found myself in a world dictated by Hermes Webmail, journeys back and forth between my college and the faculty, supervision essay deadlines, and DoS meetings. At first, I was glad that mealtimes offered a much-need hassle-free break in the day. However, I soon realised that it didn’t feel right to always rely on institutionalised sources of food, e.g. college halls, butteries, restaurant takeaways, and supermarket ready meal. "Food does not have to simply be a means of sustenance"
My ability to cook is not something that came overnight. 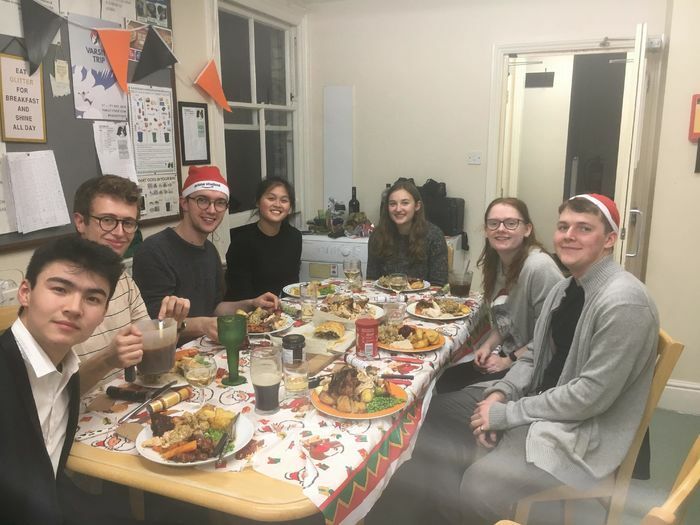 On the contrary, it was a gradual process — yet one that taught me how powerful the preparation of simple and comforting meals could be in neutralising the stresses of Cambridge. I started by taking baby steps. I searched for things like “how to make scrambled eggs”, “chicken curry” or “stir fry” on YouTube and watched the first few videos that came up (for the record, they were usually Gordon Ramsey’s, and I would wholeheartedly recommend his channel). There were a few setbacks along the way — watery eggs, undercooked chicken, burnt vegetables, and so on. But I persevered. Slowly but surely, as my confidence received a boost with every successful dish, I started to expand my repertoire. To stretch myself further, I started to invite friends over for meals. This ramped up the pressure, but also forced me to concentrate more fully on the task at hand, and so provided a temporary relief from the stresses of my degree. Instead of fretting about a French translation or Renaissance Spanish poetry, I turned my attention to slicing, dicing, blanching, sautéing, caramelising, and deglazing. In my first year, I cooked a couple of times a week. Now, in my final year, I cook nearly twice a day, every day. When back at home for the holidays, I used to sit back and let my mum do the cooking. I am now the de facto household chef, on permanent duty for all family meals. Over my time at Cambridge, cooking has grown to occupy a central part of my life. I find that there is something magical about the opportunities that cooking offers to practice the art of manifestation, or to transform a creation of the imagination into physical reality. In an age of social media and unlimited connectivity, our phones and laptops can furnish us with instant culinary inspiration from all over the world in a matter of seconds. But it is, of course, worth mentioning here that a good cookbook will unfailingly serve you well. Because of my constant exposure to food, I now start to picture new dishes in my mind as I cook. This is no longer limited to just their appearance, but now has expanded to their aroma, taste, and texture. I used to rely almost exclusively on recipes and follow their precepts stringently. Now, armed with some experience, I am able to tweak them, improvise, and create dishes that I can truly call my own. In this respect, there is nothing more flattering than a friend who requests a particular dish, or sings its praises to someone else. It is humbling to know that a personal skill can have such a profound impact on people. On its own, this is more than enough motivation to keep me cooking for anyone willing to share a meal with me. It also serves as the driving force that pushes the boundaries of my culinary capabilities. What I love most about cooking is the opportunity to introduce others to the pleasures of healthy, delicious food, which is also easy and quick to make. I am keen to inspire others to develop the same interest in food, cuisine and nutrition, which is why you will regularly find me in a kitchen cooking for family and friends. Many people have asked me to teach them not only how to cook, but also to explain the importance of the relationship between different ingredients and techniques; they have also wanted to develop their understanding of the global origins and sources of the ingredients used. This transfer of expertise generates discussions on issues such as health, sustainability, and ethics. Food does not have to simply be a means of sustenance. It is also an entry point into a conversation about pressing issues that face humanity. Even after I graduate from Cambridge, I hope to continue to nurture this passion, which enhances both mine and others' understanding about our world.